* Guidance on the practical design and implementation of video coding technology. * Explanation of the major video coding standards, including MPEG-2, MPEG-4, H.263 and H.26L. * Detailed coverage of key video coding techniques and core algorithms. * Examination of critical design issues including transmission, Quality of Service and processing platforms. * A wealth of illustrations and practical examples, including quantitative comparisons of design alternatives. 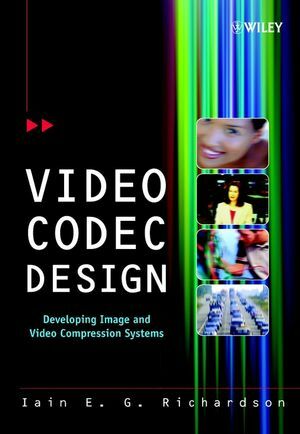 Video Codec Design provides communications engineers, system designers, researchers and technical managers with an essential handbook to image and video compression technology. The clear presentation and emphasis on real-life examples make this book an excellent teaching tool for computer science and electronic engineering instructors.